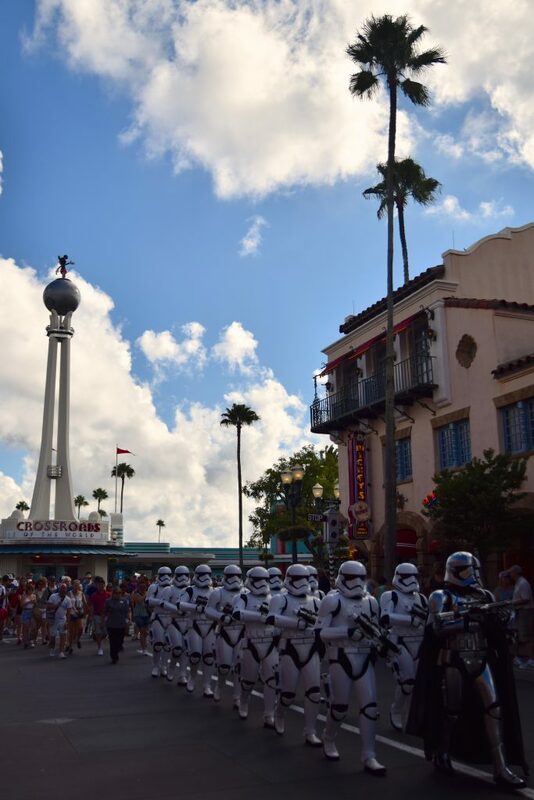 Park #1 Disney’s MGM Hollywood Studios! It is SO HUMID that the condensation on my camera lens was unrelenting for the first 30min. 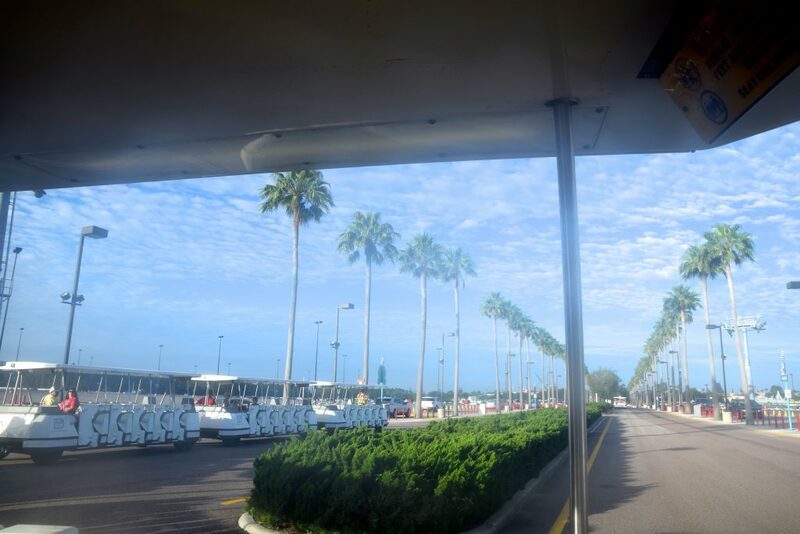 Lots of amazing work going on here; Hollywood Studios’ parking lot is being totally reconfigured to accommodate the Walt Disney World Skyliner, which is nearing completion. 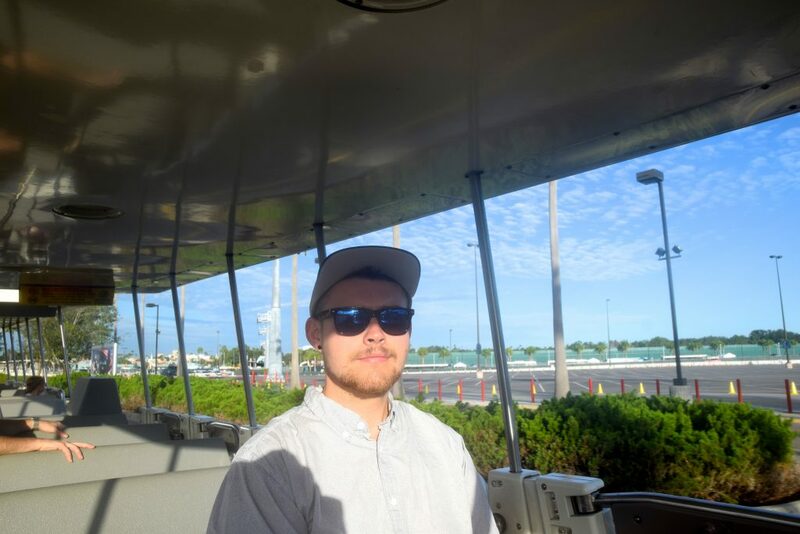 The Skyliner is certainly an interesting choice. I’m equal parts excited and confused by it. 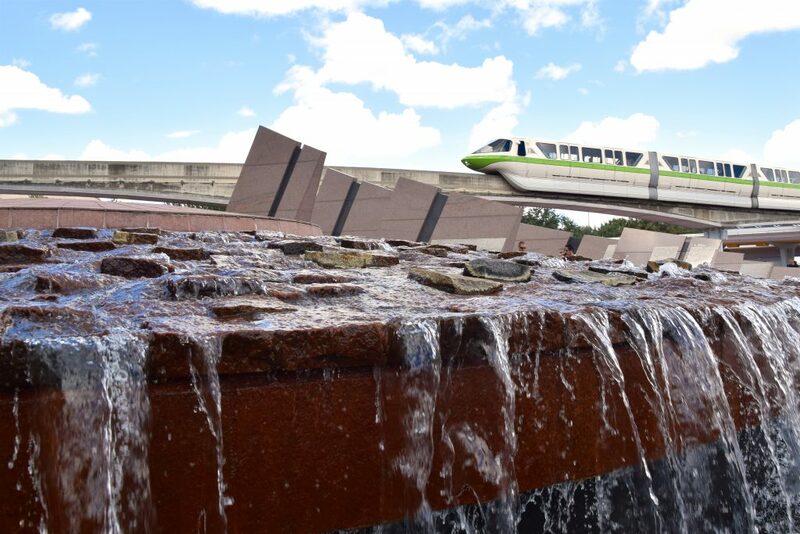 It’s certainly cheaper than adding to the Monorail. There’s a lot of interesting transit options between Magic Kingdom – Epcot – Hollywood Studios. If you want to go to Animal Kingdom, however, your only option is automobile. When do they plan to fix this, I wonder? We decided on a timely arrival. 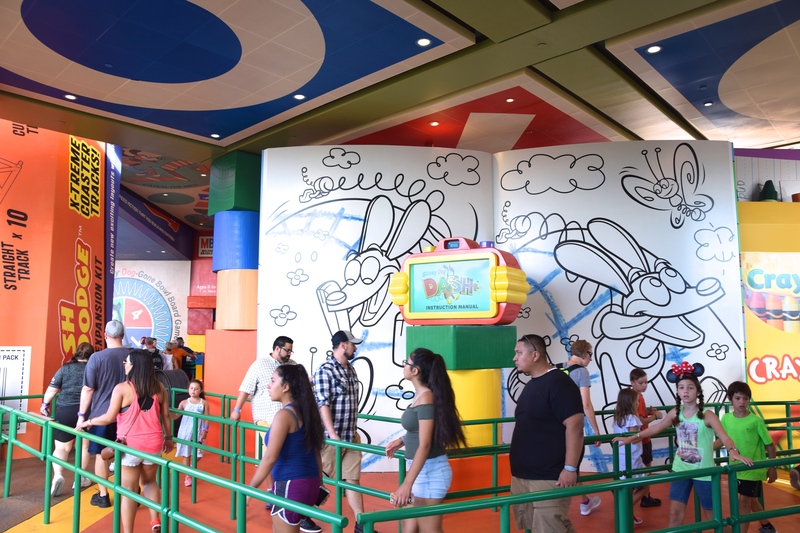 Optimal access to Toy Story Land is necessary for our big day to go smoothly! 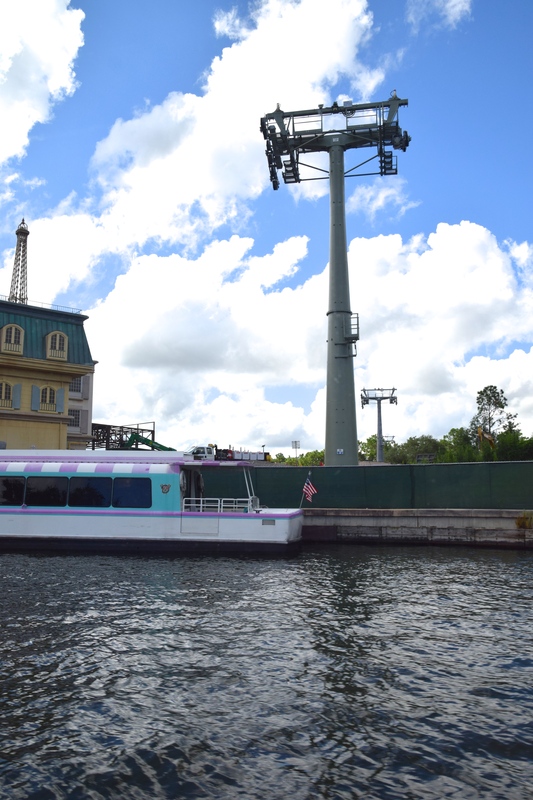 If you wanted to dash anywhere on the left side of the park at open, you’re out of luck! 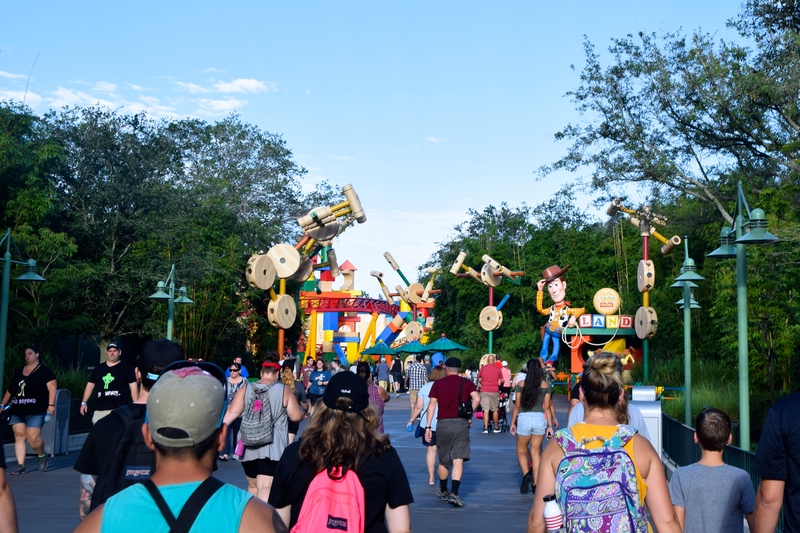 Cast Members herd the droves of parkgoers almost directly to Toy Story Land! 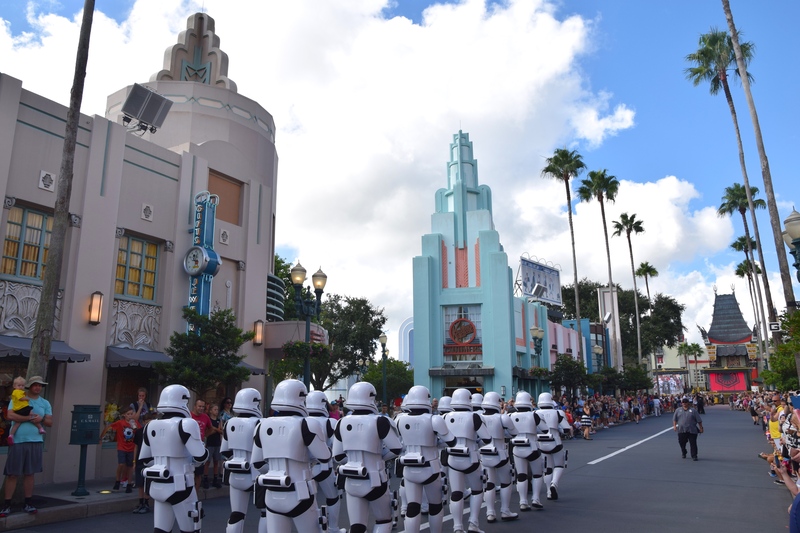 Not that going anywhere else in Hollywood Studios at rope drop would be a good use of time, anyway – Even Tower of Terror and Rock N’ Roller Coaster would have 10min waits pretty much all day. 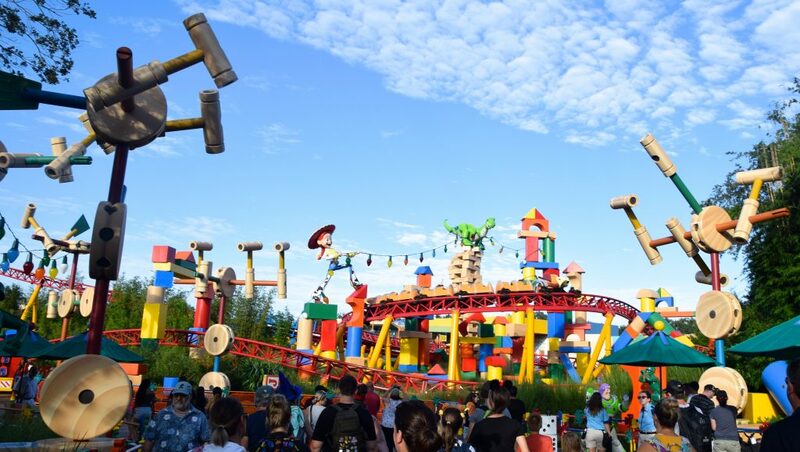 First impressions: As a big fan of the smaller Toy Story Lands that have peppered parks overseas, I’m delighted to see a larger version with beefier roster of attractions. The Pixar Place midway (along with the old entrance to Toy Story Mania) is now closed to the public, but first-time visitors would never know that the new ride entrance (on the left of the pic below) wasn’t always the route to Andy’s Room! Slinky Dog Dash is the star of Toy Story Land. It’s as irresistible to ride as it is to watch. 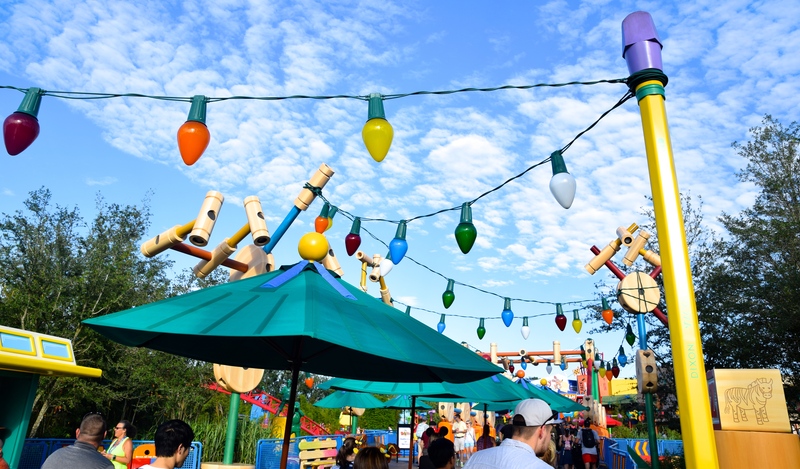 Early feedback on Toy Story Land included a lot of “It’s too hot / not enough shade” complaints; parasols get the job done for now. 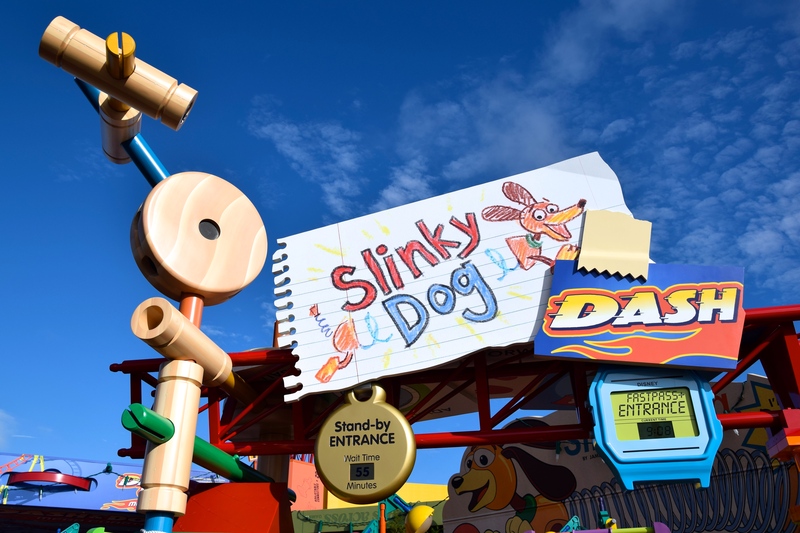 I hadn’t actually made the connection until now, but Slinky Dog Dash is a roller coaster themed to a roller coaster toy set. 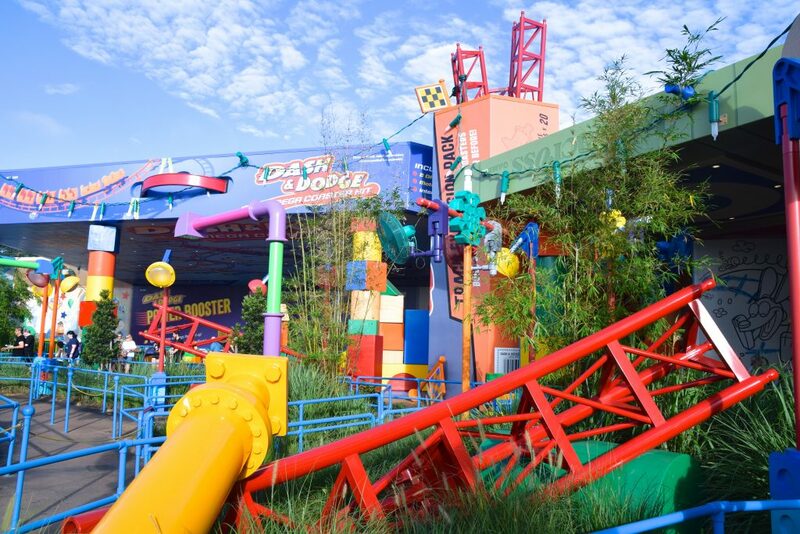 Enthusiasts of K’nex and Lego roller coasters will quickly be reminded of their childhoods. Is having a “coaster-themed coaster” a bit of a cop-out? Maybe. But a coaster playset in Andy’s Backyard isn’t a hard sell, either. Spare pieces scattered around are one of the area’s most inspired touches. 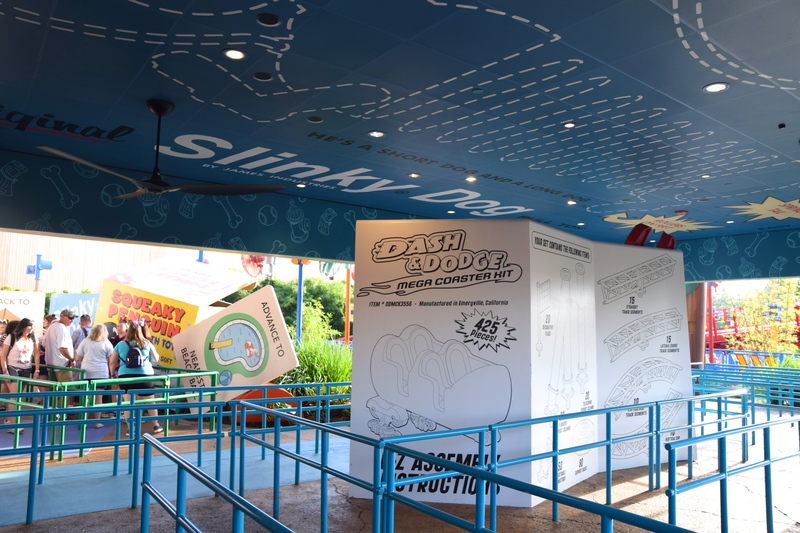 Like the Slinky Dog-themed rides at other Toy Story Lands, the queue for Dash is a charming network of discarded toy packaging. Looking back at this shot, I’m suddenly getting a “Choose Thy Fate” vibe. RIP. 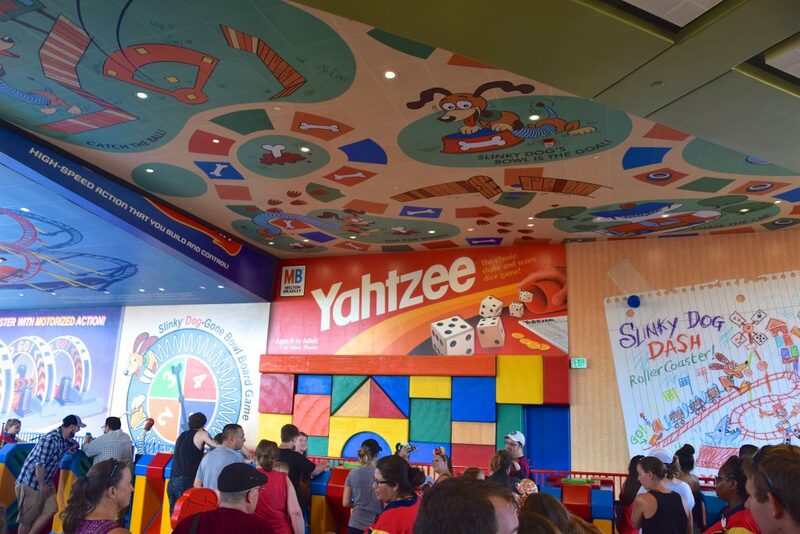 Unlike Dueling Dragons, however, there’s no question of allegiance here beyond Lego vs Mattel. 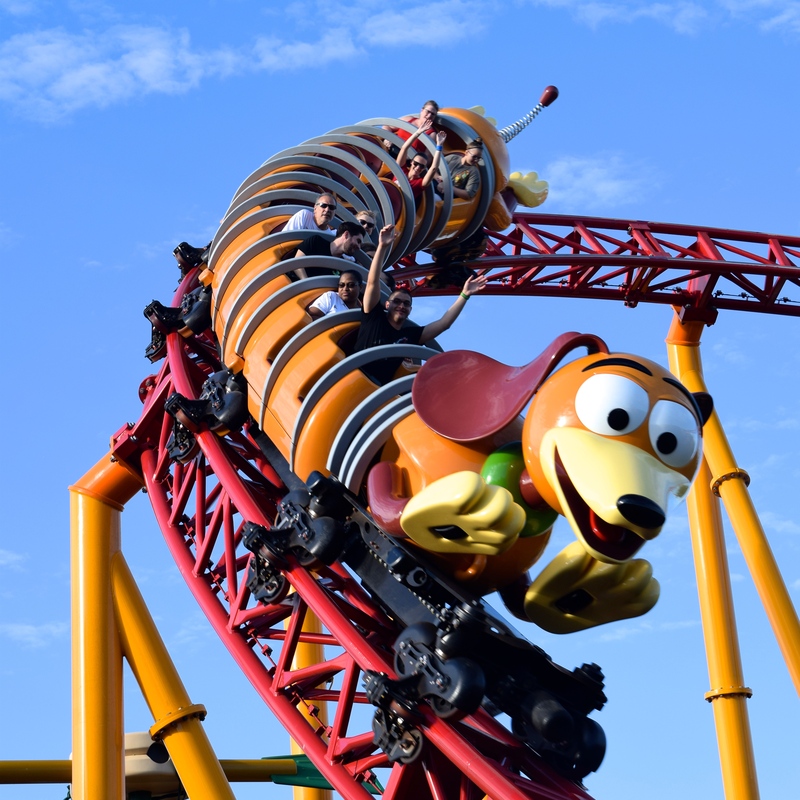 Slinky Dog Dash is an exceedingly mild coaster. Despite two magnetic launches, I would call it milder than Seven Dwarfs Mine Train. 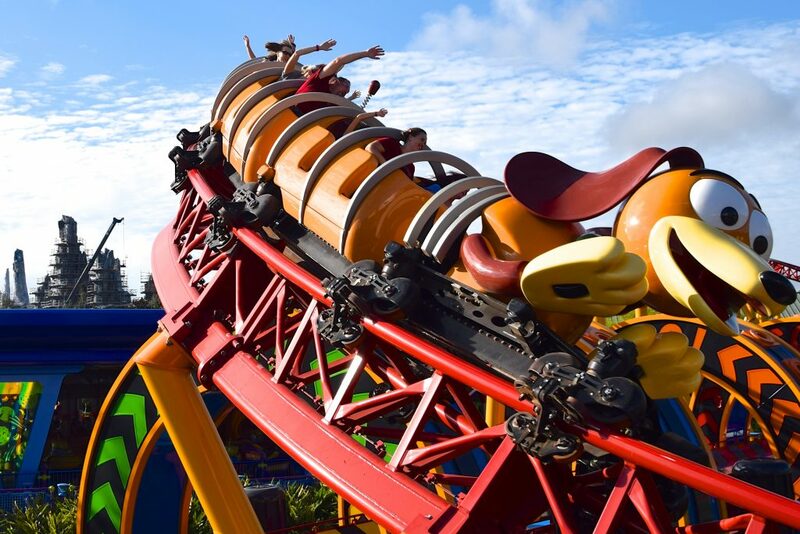 Not a launched family coaster, but a launched kiddie coaster. Having said that, I wouldn’t really change anything about it. Complaints about Toy Story Land being “weak” or “underbaked” should be reminded that this is Hollywood Studios’ “Dino Land U.S.A.”, not their Pandora (the answer to Pandora is there in the background). 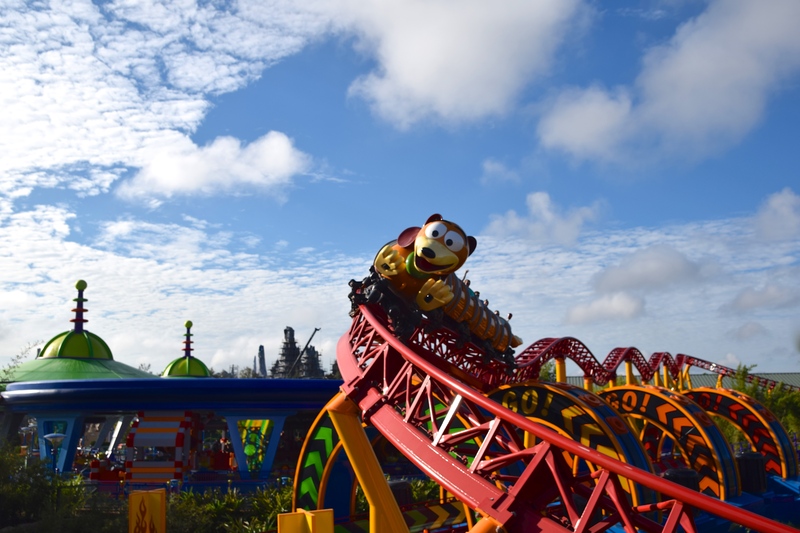 We snagged two rides on Slinky Dog Dash before the masses got to it; 20min after open, the queue was over an hour. Okay, now it’s introduce Sean to the park’s bread and butter. 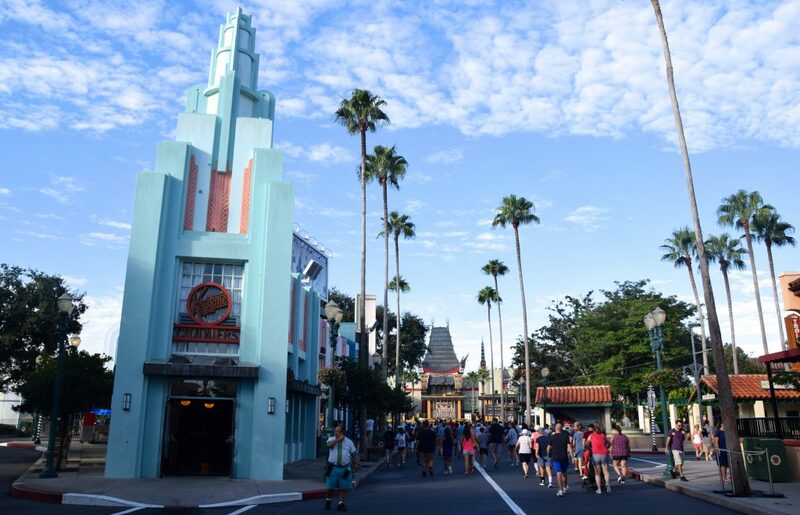 Few areas of any theme park have the same presence as Hollywood Studio’s Sunset Blvd area. 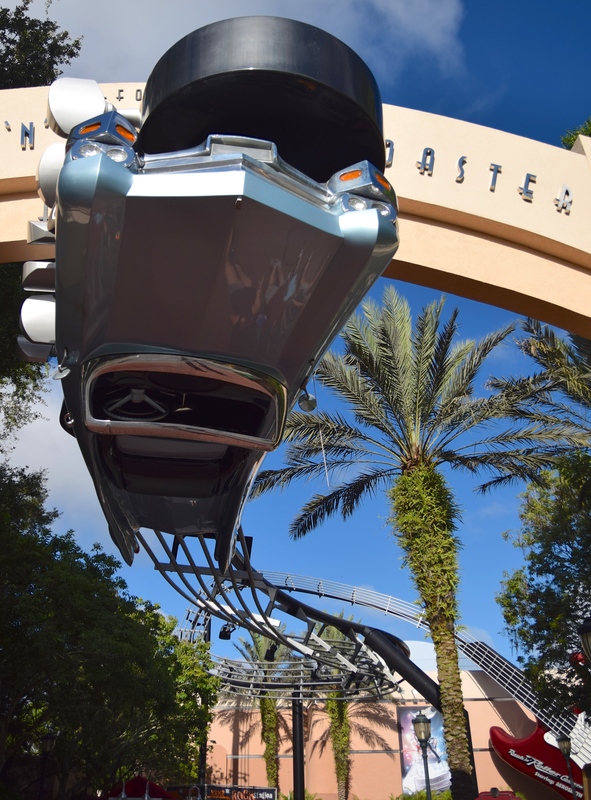 I’m definitely a Rock N’ Roller Coaster fan, but I feel like the ride’s performance this visit wasn’t up to par. Though it’s not the popular opinion, we actually left our 2 rides feeling like we prefer Rock N’ Roller Coaster at Walt Disney Studios Paris. 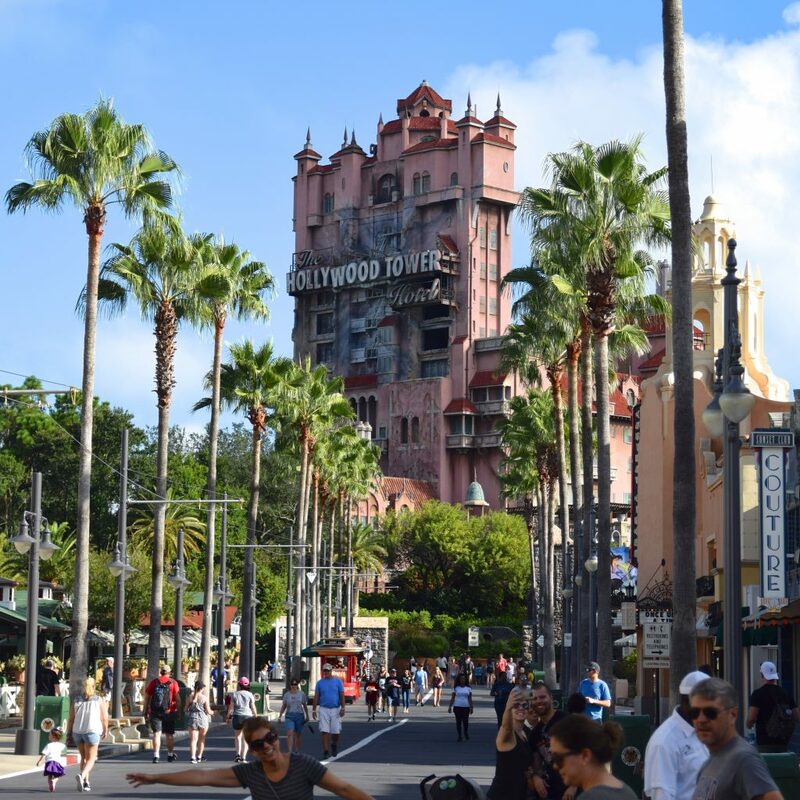 And, to an even greater shock, I left today’s ride on Tower of Terror feeling slightly more fond of Guardians of the Galaxy – Mission: BREAKOUT! There’s nothing wrong with this ride; I just feel like the curb appeal is its greatest strength. Once inside, it’s all a wash for me. I’m just not a Twilight Zone person. From here, we decided to make our way to Epcot by boat. Epcot wasn’t even part of our original plan for the day (because no coasters), but with our first FastPass+ reservations at Magic Kingdom still hours away, we knew it would be a good use of our time. We basically took the route that the Skyliner will take, albeit past a different collection of hotels. 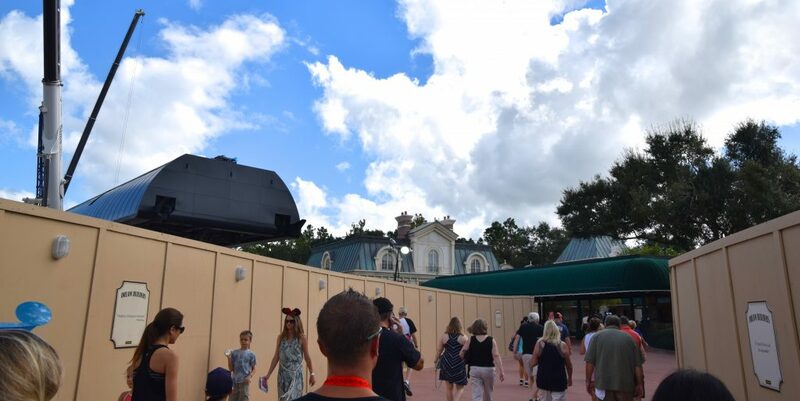 Epcot’s France entrance is getting a lot of attention this year – soon it’ll be World Showcase’s most noteworthy pavilion. 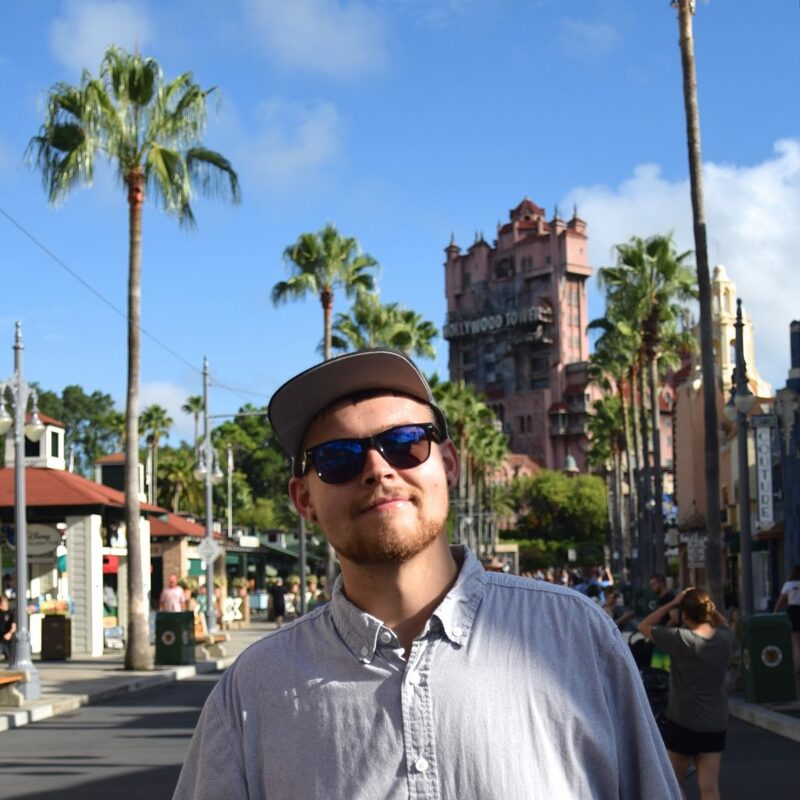 Sean’s first taste of Epcot isn’t the usual Spaceship Earth approach, but still a great first impression nonetheless. All of our Epcot priorities are in Future World, however! 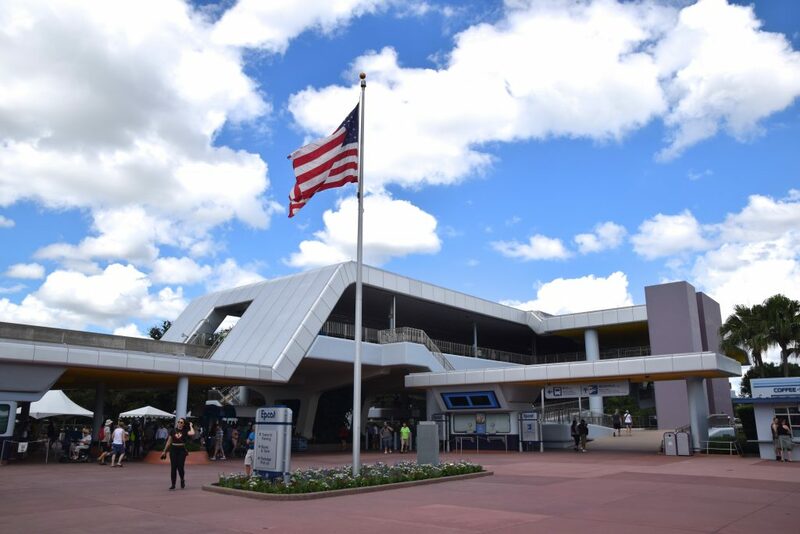 Our first ride in the park was Test Track, which we enjoyed with a 5min wait thanks to the single rider queue. The rest of our Epcot rides have a 5min queues for normal standby: Mission Space Sean loved, but I genuinely never need to ride again. Look! poking out from behind the old Wonders of Life pavilion is construction for the show building of the new Guardians of the Galaxy-themed coaster coming in 2020(?). 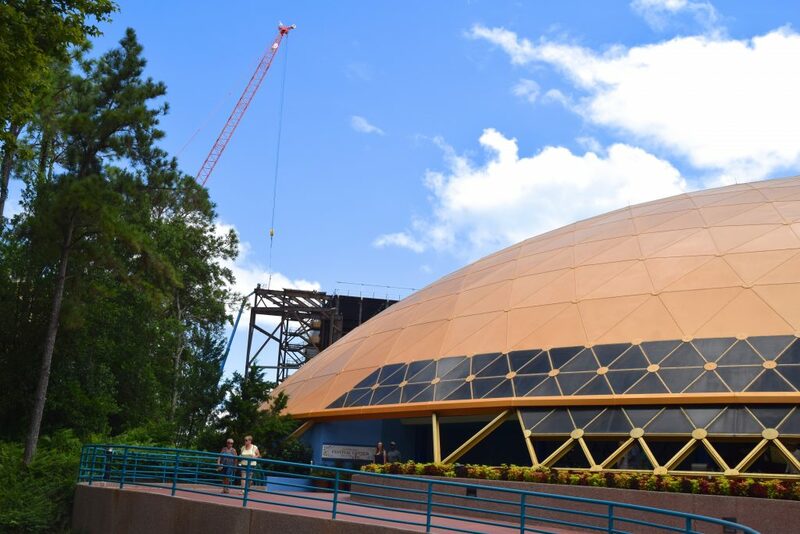 Universe of Energy is just a memory now. The Living Seas is a much-more efficient Nemo overlay attraction (albeit much shorter) than Disneyland’s Submarine Voyage. 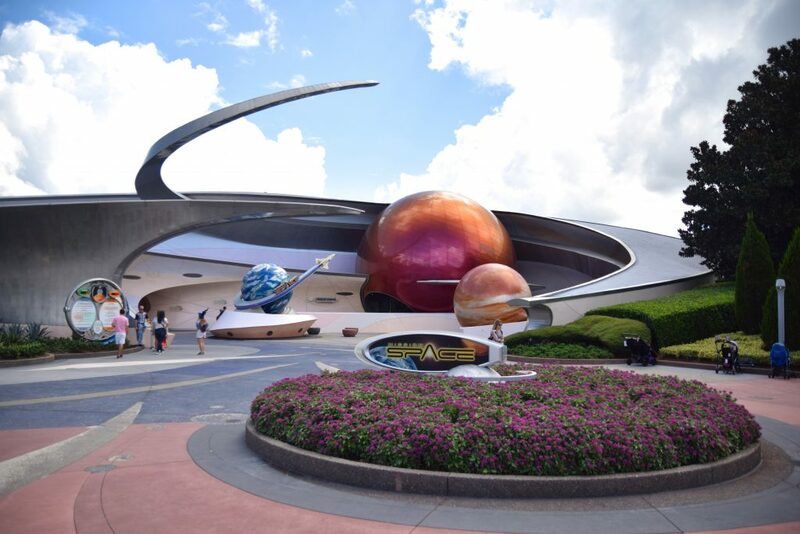 Definitely Future World’s best pavilion! 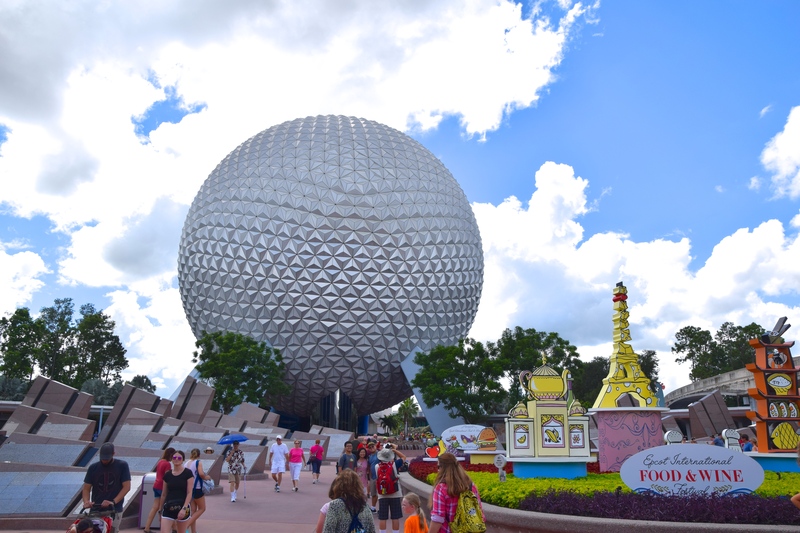 Our last Epcot ride of the day was Spaceship Earth, perhaps Walt Disney World’s most underrated attraction. 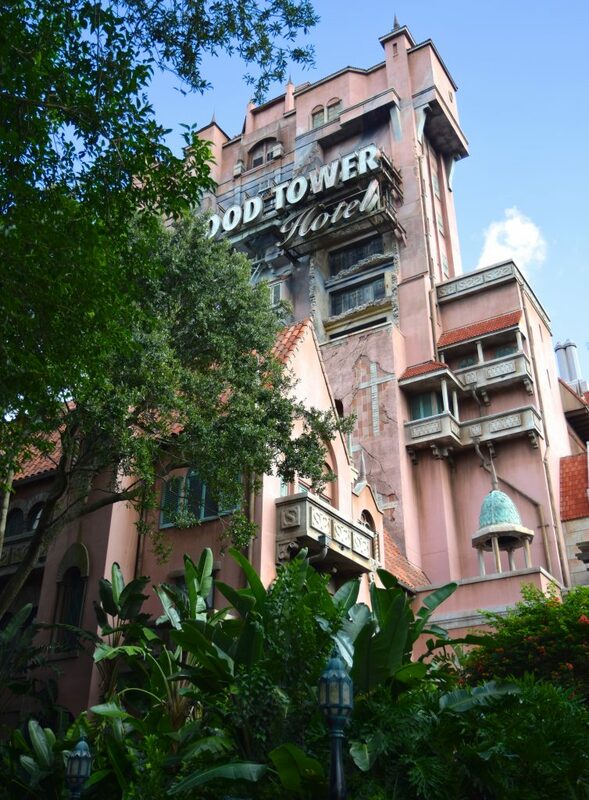 We find it more deserving of praise than Magic Kingdom’s Pirates of the Caribbean and Haunted Mansion. 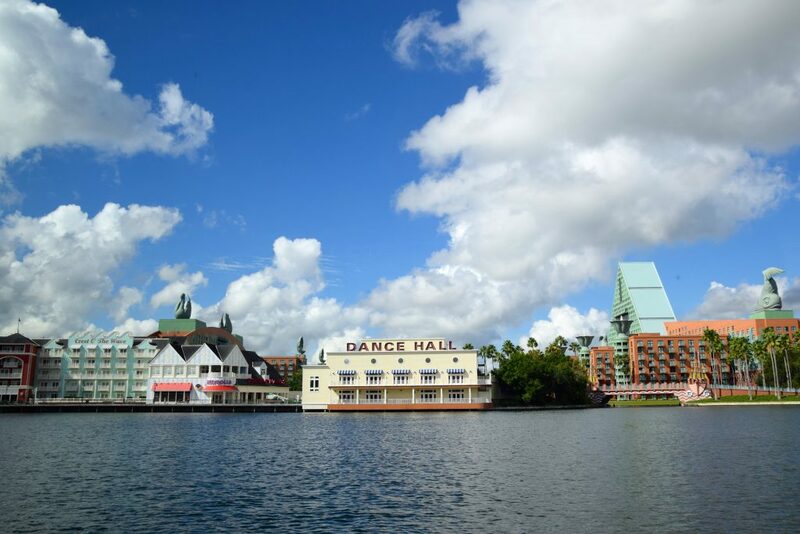 Though Epcot’s annual Food and Wine Festival is in full swing, there’s no time to focus on it now; It’s almost 1pm and we still have the resort’s two biggest parks to take on! Time to board the extremely, charmingly dated Walt Disney World Monorail to Magic Kingdom! 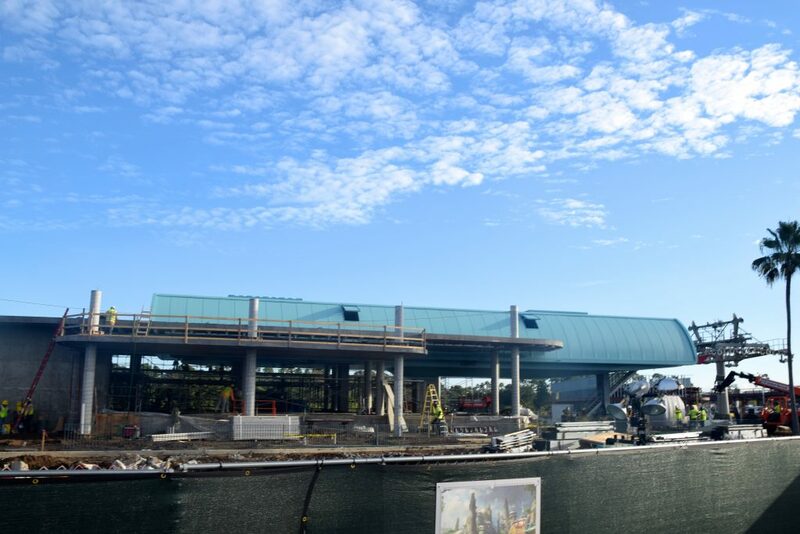 But first, another look at the Guardians coaster show building! 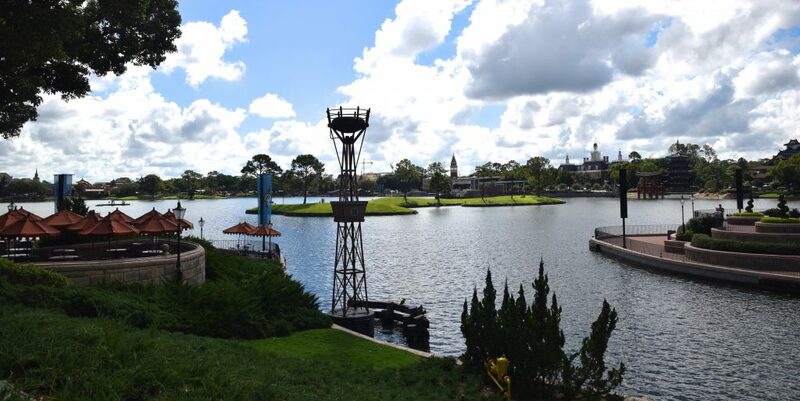 Continue on Page 2 for the next two parks: Magic Kingdom and Animal Kingdom! Nice job, you guys. It’s been 12 years since my last visit to WDW, and it looks like it’s time to get back there. 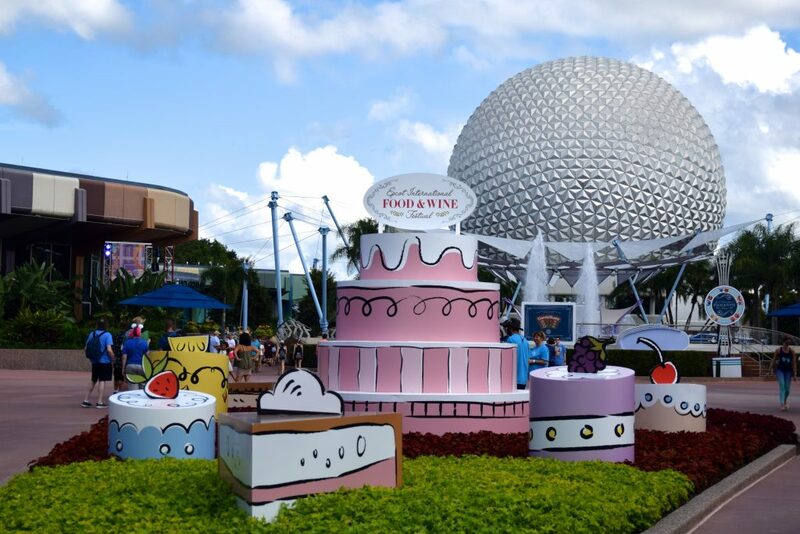 I like to go during the International Food & Wine Festival for the chance to sample all the food. Mid-October weather is pleasant as well (at least in 2006 it was). Good use of your time in one day. Impressive getting to four different parks and being able to ride that many rides. 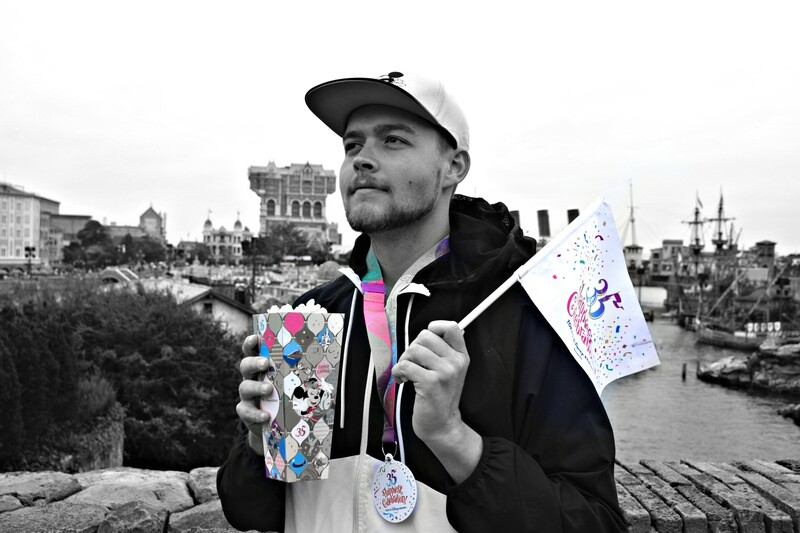 You did a nice sampler of each park. Reading your TR I counted 20 total rides not including outside trasportation rides: 5 rides on three different rides at DHS, 4 rides at Epcot, 6 rides at MK, and 5 rides at AK, but I only counted 7 different coasters (Slinky Dog, Barnstormer, Seven Dwarfs Mine Train, Space Mountain, Big Thunder Mountain, Primeval Whirl, and Expedition Everest) – is there anything I’m missing? Previous PostPrevious Get Ready to #TakeOnTigris at Busch Gardens Tampa in 2019!